Parathas have its own unique importance in the Indian food culture. We usually take a name of Alu paratha, when feels to eat parathas. 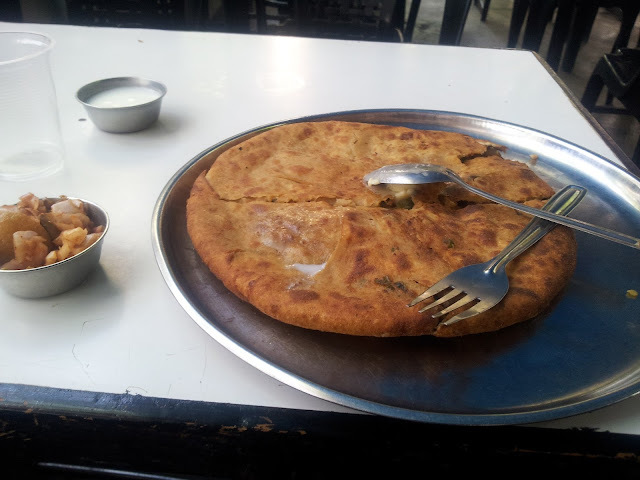 In today’s time, many types of Parathas, we can enjoy many types of parathas as people are changing their taste. 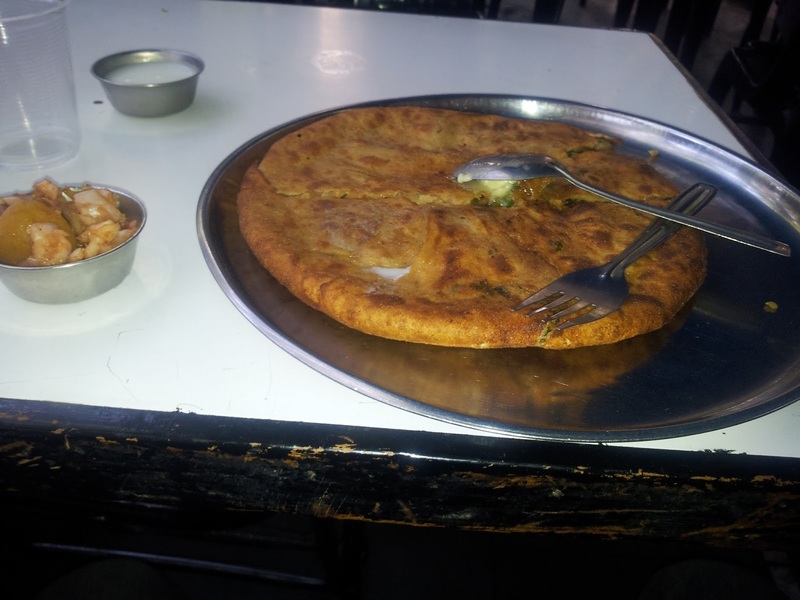 Pune City is having one of the famous paratha spot on Dhole Patil Road, Nandu’s parathas. Whenever people feels to eat paratha, this place certainly comes into the mind, Nadu’s serves delicious, yummy and crispy parathas in many types. You can take names like Gobhi Paratha, Paneer Paratha, Mushroom-Cheese Paratha and Pizza Topping Paratha etc. Paratha quality is really awesome, consistent good quality stuffing in the parathass makes it more yummy. Nandu’s hve parathas in two way, less oil and with ghee, so health conscious people can choose less oil type and enjoy various parathas. They also make Jain parathas, without onion and garlic. Sweet Lassi or Mango Lassi adds happiness in our paratha treat. Some nutritious parathas like rajma palak mix partha etc again makes this place unique in terms of paratha culture. This place usually crowded with people and why not, anyone who comes here wants to come again. So don’t wait, enjoy this weekend with this place with delicious paratha. Paratha party at Nandus paraha in morning, matinee movie show at INOX . NextMisal Pav: Bhairavnath Hotel, Wagholi, off Nagar Highway, Pune. This is my one of the favourite paratha place after Chaityna’s paratha. The garlic chuteny is awesome.